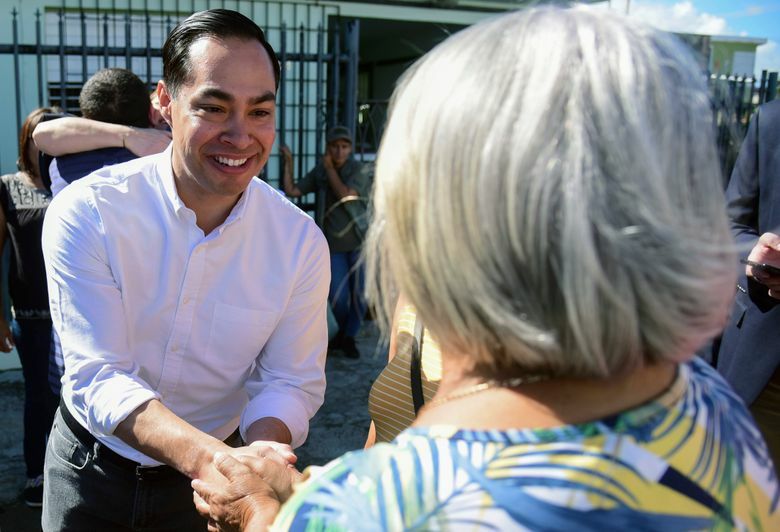 The group condemned Trump’s plan to build a border wall, and Castro also criticized Trump for his response to Hurricane Maria, which hit the U.S. territory in September 2017 and is estimated to have caused more than $100 billion in damage. Castro spoke at the Latino Political Summit in the capital of San Juan, the third such summit organized by the Latino Victory Fund, a political action committee based in Washington, D.C., which followed a weekend visit to the island by 34 Democratic members of Congress and Sen. Robert Menendez — a trip that attracted Trump’s notice. The visitors didn’t include Democratic House Speaker Nancy Pelosi and Senate Minority Leader Chuck Schumer. “I wish that the president would actually spend more time doing the job of being president instead of fighting with people on Twitter, instead of spending so much time golfing and not going to his first meeting until 11 a.m. in the morning,” Castro added. 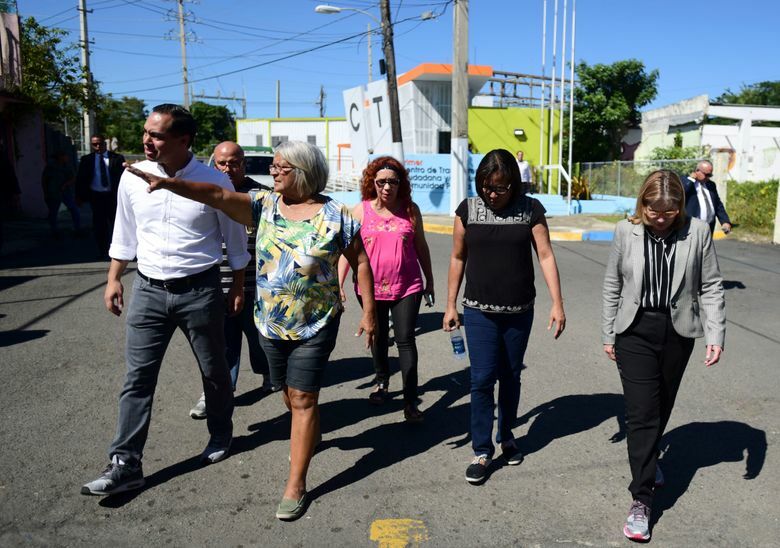 San Juan Mayor Carmen Yulin Cruz, a well-known Trump critic, said the president doesn’t have the “moral footing” to talk about Puerto Rico. 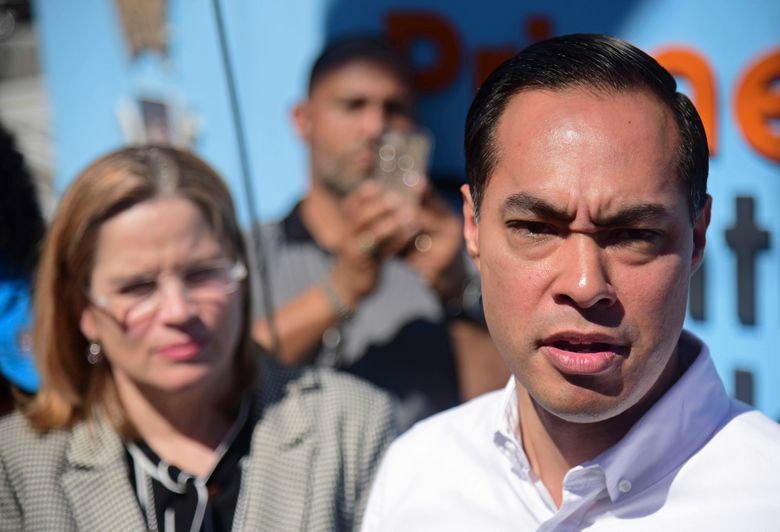 Castro, the former housing chief for former president Barack Obama said his background helps him understand the process of recovering from a natural disaster and how to improve on that. “This work is nothing new to me,” said Castro, who also was mayor of San Antonio, Texas, for five years. The 44-year-old grandson of a Mexican immigrant so far is the only Latino in the Democratic field. Castro’s first trip as a presidential candidate comes during the largest government shutdown in U.S. history, with Trump refusing to sign a government funding bill that doesn’t include money for a wall on the U.S.-Mexico border. Mayor Cruz said the notion of a border wall was “racist” and criticized the administration’s response to Maria. “We were left to die by the U.S. government … and we didn’t have to die,” she said, noting that an estimated 2,975 deaths have been attributed to the hurricane and its aftermath. Cruz also said she worried that Puerto Rico isn’t getting hurricane recovery funds quickly enough as the island continues to struggle in the storm’s aftermath. “We need all the advocates that are here to go back to the United States and help us get the word out: The money isn’t getting to the municipalities,” she said. During the summit, Latino Victory Fund President Cristobal Alex said Trump has attacked Latinos, surrounded himself with white nationalists and separated children from their parents at the border. 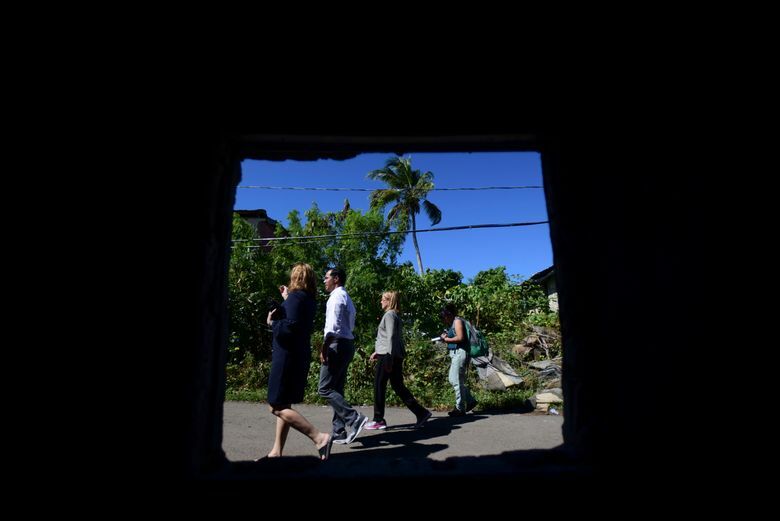 Castro and Cruz later toured the impoverished community of La Playita near the island’s main international airport, where residents said they still need help more than a year after Maria. Community leader Raymond Ortiz, who owns a small store and helped feed people after the hurricane, told The Associated Press that more than 50 homes remain without a proper roof. He also said that nearly half of the people in the community have left because they didn’t get the help they needed.